Product description: NATIONAL GEOGRAPHIC TRAVELLER 1 YEAR SUBSCRIPTION is written by Amar chitra katha and published by Amar chitra katha. 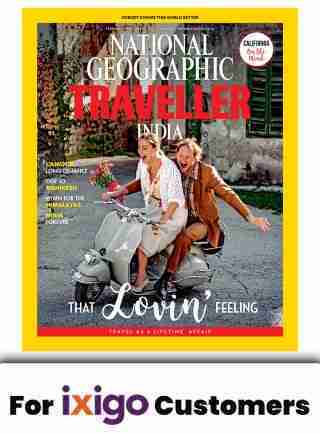 Buy NATIONAL GEOGRAPHIC TRAVELLER 1 YEAR SUBSCRIPTION by Amar chitra katha from markmybook.com. An online bokstore for all kind of fiction, non fiction books and novels of English, Hindi & other Indian Languages. This month, NGTI celebrates love--and the lifetime affair we have with travel. Our stories include a writer's hunt for Frida Kahlo in Mexico City, another's perennial love for the Himalayas, and how, for another writer, travel has managed to keep a long-distance relationship alive. Also in the issue is a feature on road tripping through California's Highway 1, and one on Copenhagen's diverse food scene.